Zelda is a girl, forced by nature to accept her fate of being trapped on the ocean with pirates, pretending to be a boy until she can escape. When her dolphin, T'galki, takes her to an island of demigods, she discovers who she truly is. My name is Zelda. I'm an orphan girl, and a stowaway on a pirate ship. It is my only home, and I am only able to stay until they realise that I'm not Zeldim, an orphan boy from the docks, but myself, a dark-skinned, bright eyed girl from the islands of the sea. My job is to feed the pirates and set the fish traps off the ship. During the day, T'galki, my dolphin, swims in the sea beside me, the waves she catches an exact match to my turquoise eyes. She is my only friend. During the night I loose two hours of sleep by going and feeding her. The pirates just think I'm an introvert, but I just don't like them. Well, that's a bit of an understatement. I hate them. My only family is a bunch of ruthless thugs who force me to do whatever they want me to. I consider T'galki as family though, and she is all the safety I know. She seems a bit different from the other dolphins in the sea, as she had markings that looked much like shining, dark grey henna along her length. Of course, I can't get henna, it would just blend in with my skin, baked dark from years of working in the sun. My hair hasn't been tamed for a long time, so even though it goes past my shoulders and nearly to my hips, my appearance remains that of a boy. "Zeldim! Come here, boy!" It was Lucius, the main pirate. He was respectfully known to the pirates as Lucliy, a nickname his crew gave him. Our boat has been plundered and looted many times, but they never got away with any more than a handful of coins. "Zeldim, I need you to change into these." He stuffed a bunch of rags in my face. "But in the sun. They need to remain in heat or they'll freeze." Doomrags. Enchanted clothing to make sure your slaves never left the workplace. I began to get unchanged without a second thought. I get fed here. I can sleep here. I need it to stay that way, even if it means extra hours in the sun. As I looked down at myself, I realised my error. I was a girl, and they didn't know that. It was considered bad luck for girls to be on ships, and I had grown a lot since they changed me into my first rags when I was nine. Fifteen years old, and I now had all the proper girl bits. Luckily, I wasn't well fed enough for these parts to pop, making it easy to blend in when dressed, but right now I wasn't. I was stark naked, on a ship in the middle of the sea. As Lucly and his first mate looked me up and down, I felt the small pit of hunger in my stomach fill to a gaping hole of worry. "Zeldim," he said, "Is that even your real name?" I looked him in the eye, daring him to stare at my face. His expression dropped, and I said, "No. My name is Zelda. I am an orphan, just like I told you. I am from the sea islands, but I don't know where from exactly. When I was a kid, I was kidnapped by the British, and I fled my master. I ended up here after living on the streets for as long as I can remember... until you picked me up." He tore his gaze away from me, and to my relief, my naked body. He spoke to his first mate. "See to it that this stowaway is cast off our boat. Her likes don't deserve being in our presence." I sobbed desperately, sensing a look of pure dread creeping into my eyes. "No, no, please don't! This is my home! STOP!" Suddenly, the sky began to darken. As I was taken away, the crew began to get restless. Before I was cast off the back plank, where none could see me, the first mate took out a knife, presumably to cut my ties when he let me go. I looked into the sea and saw my reflection. My eyes were the same colour, just darker, like the storm swelling on the horizon. I looked back up to see him reaching for me quickly, the knife scraping along my throat line. I screeched as I realised what he intended to do to me. The captain ran on to the deck and beheld me, chest heaving, eyes streaming tears, still completely naked. He pouted his lip in a sneer, glaring at me evilly. "Oh, I'm sorry, I thought it was an emergency." I gasped. "No, no no no, you're not going to let him do this to me! You need to stop him! I still deserve to live, I'm only fifteen!" But he was already gone. The first mate began to approach me. "Oh, Zelda, I'm sorry, the cap's wish..."
With that, I screamed, jumping off the boat. I yelled out for T'galki, and watched as the dolphin swam towards me. I grabbed onto her dorsal fin, and she tarted to swim away. "T'galki, what are you doing?" It then hit me; she was taking me away. Away from the mess I considered a life. Away from the hideous captain and his murderous first mate. The water was frigid around me, but I felt cleansed and peaceful. As we swam away, T'galki turned back to the ship. The sky was grey and chaotic above it, but nowhere else. I heard the first mate yell after me. "Zelda, come back here! I wasn't done with you!" This filled me with rage. I felt it spark inside me, a great storm that dwarfed the one above the filthy ship. I closed my eyes and watched as lightning flashed under my eyelids. When I opened them, I heard thunder and a great bolt of electricity hit the ship. I watched with a shockingly vile amount of pleasure as the ship burst into flames, as did the people on board. T'galki swam towards the wreckage and picked up a satchel in her mouth. I grabbed it from her and opened it. It was a full two day's ration of food. My dolphin poked her nose into the wood and pulled out a rope. She pulled it into the ocean, and a board of wood followed. I swam to it, lying gratefully on the sodden planks. As we drifted past a sail, I caught the tattered end as it flapped in the wind. I pulled it away from the mast, the flimsy fabric coming away easily. T'galki began to swim away again, and I started working as well. I pulled some smaller bits of wood out of the ocean as they floated past, and was filled with relief when I saw my old clothes floating on one. I pulled them on, cold and wet but at least clothed. I mounted the wood poles on the board, building a small cubby on it. T'galki looked at me approvingly as I pulled the sheet of white canvas sail over it. I had my own small home now, built on the back of a board being led by a dolphin. Sighing in contentment, I gave myself a small feast of bread and cheese, the biggest meal I've ever had. I felt drowsy after eating so much, so I climbed into my home and sank into the deep pool that waited beyond reality, a world of dreams and sleep. When I finally regained consciousness, it was noise that woke me. Oh no, I thought, have I been kidnapped again? It became clear that I hadn't as I climbed out of my tent and a vibrant burst of colour hit me. I was on an island, my board being brought to the shore. I ran onto solid land for the first time in my life. I was overwhelmed by the disappearance of the irrational fear that I would trip no matter how good I was at walking. Apparently too overwhelmed, as I tripped and fell face first onto the sand. As I hightened a bit into a crouch, I heard a chuckle. I looked up to see a boy a bit older than me standing over me. He was handsome. Completely disarming smile, dreads half covering his face, muscles showing on every inch of his barely dressed body. He wore only a shell necklace and a skirt looking thing, but it was hard for me to say. Apart from the magazines I sometimes saw when cleaning the captains room, I had never ever seen a skirt. He looked into my eyes, and I was shocked by the colour. They were gold. Odd like mine. As I looked into the camp, I saw only children. Some were as old as nineteen, some looked to be barely seven. But they were all working tirelessly, not a drop of sweat in sight. The boy helped me up, staring at my clothing rather strangely. He took in my matted hair and my suntanned skin. The sound of my own name terrified me. "What? How do you know my name, who are you, who runs this place, and while we're on the topic... WHERE AM I!?" "Hah," he said. "Zelda, I'm your brother. I know your name because I remember our village being seized. They took everything, and I was close to being taken too. But the Demigods found me. I'm one of them now, as are you. We were born with the same gods as our parents, making us full blood siblings. Come, sister. I'll take you to our leader, Amania." With this, he rushed through the island, still holding my hand and pulling me along. We got to a tent near the central fire. It looked just like the others, a single solid colour. A lady who I assumed was Amania walked out of the tent when my brother yelled her name. She was older than the others, I could assume just about twenty one. She looked at me curiously, fluorescent pink hair flowing in the wind. "Zelda. I've heard about you! Naqo here remembers you, and it's been his goal to get you back since the moment he was brought here. I'll get you some clothing, as yours appears to be in horrible shape." She glanced at my hideously tangled hair. "And I'll get Galactica to work on that." With this, she rushed into her tent, beckoning for me to follow. She handed me a turquoise skirt, a plain white chest wrap and a necklace just like my brother's. Upon closer inspection, I saw that it had a lightning bolt charm in among the shark teeth. Remembering what my brother, Naqo, I think he was called, had said, I asked, "So... what about this Demigod thing? What does it mean?" She left the tent, sighing. "I'll get Galactica to tell you that." As I was led through the camp, I took a minute to gawk at my surroundings. The tents were all different colours, as were the flowers and fruits growing on every tree visible. All around the island there were animals with the same strange markings as T'galki, from birds with strangely patterned plumage, to pigs with oddly symmetrical spots. They were all accompanied by humans, and every human had either odd hair or eyes. We walked past a white haired girl with an ibis, an emerald eyed boy with a crocodile, a brunette girl with a bear, and a golden haired girl playing in the water with a brightly coloured fish. I noticed T'galki swimming alongside the pier we walked on to get to a deep blue tent. Out of the tent appeared a seventeen or so looking girl, with deep sea coloured hair and blue eyes. In the water behind the tent there was a splash, and a giant whale breached on a tall wave. T'galki went to swim with it, frolicking merrily through the sea. "This is Galactica," Amania said, interrupting my thoughts. "She will be teaching you of the island, and dealing with that mess that you call hair. See you later, Zelda!" As I followed Galactica into the tent, I glanced over my shoulder, hoping to catch a glimpse of my brother or my dolphin. But they were nowhere to be seen. I gulped, sitting down in the chair that Galactica offered me. It was in front of a beautiful mirror with pearls lining its edge. She brought out an ebony comb and spoke, her voice soft and rhythmic. "This will not hurt, and you will feel much better by the end. Don't worry your pretty little head." "Okay," I said, bracing myself for impact. I had never had my hair brushed before. She whispered a few words under her breath before running the comb through my hair once. The entire mop of dreadlocks fell to my knees, the knots suddenly disappearing. I felt years of strain vanish with the vile amount of muck in my hair. "Now," Galactica said, "let's teach you. So, first, let me tell you that there are twelve gods. The god of weather, the god of fire, the god of space, the goddess of silk, the goddess of romance, the god of death, the god of nature, the goddess of rainbows, the goddess of water, the goddess of victory and war, the god of happiness, the goddess of depression, and the king god; the god of gods." I nodded, barely able to keep up with the number of gods. This was a very holy camp indeed. "See this?" She continued, holding up the charm on her necklace. It wasn't a charm, but a bottle containing lock of black hair. "This is my mother's hair, Sylvia, the goddess of silk. That's how I managed to do your hair so easily. As a matter of fact, I'm the only demigod on this island without a half brother or sister. I don't even have a full relative living apart from Mother. She sent me this mirror and hairbrush to do my magic, or at least to help with it. You," she paused, "are daughter of Lucrido, the weather god. You are the lightning part of your father, we can tell from the eyes. Your brother has the attribute of tornado, which is extremely deadly. Don't cross him." I gasped, remembering the storm on the ship. I really was. "And... well... you two, your brother and you, aren't demigods. You're actual gods, the daughter and son of Alaina, the romance goddess, as well as Lucrido. Well, I suppose we did make up a name for what you are... angels. We have no proof that angels are anything other than two gods children, so we came to a conclusion. And we call him king angel, as the oldest of you two. What would you like to be called?" I forced my jaw to shut after it accidentally dropped open. I got to choose my own name? In the world of pirates, it was considered extremely snobby to choose your own name, and the job was mostly done by other pirates or your crew mates. I looked into the mirror and saw my reflection. With my hair finally untangled, I looked like an actual girl. I thought back to my past. Years of pretending, working in the tireless light of a burning sun, the ocean finally forcing me to surrender my own life to the fate of being stuck with it again. No matter if I liked it or not, the crashing waves and the dolphins and the shining light glinting off the surface had become part of me. It hit me: not what I wanted to be called, but what I should be called, on the wish of the gods. "Sea Angel," I said, the words tasting familiar on my tongue even though I'd never said them before. I spoke my name once more before running outside and diving in with T'galki. It was actually her that decided this for me; I knew that dolphins were the life of the ocean. She must be my spirit animal, just as the sea was my spirit home. That night I had a dream. In it, my parents came to my crib side and kissed me on the forehead. I saw Naqo lean over my bed and laugh in delight. "Goodnight," my parents said. "Goodnight, our little sea angel." This is based in the same universe as the bestselling Wings Of Fire series, with my own characters. I advise you read at least one book in the series before reading this. 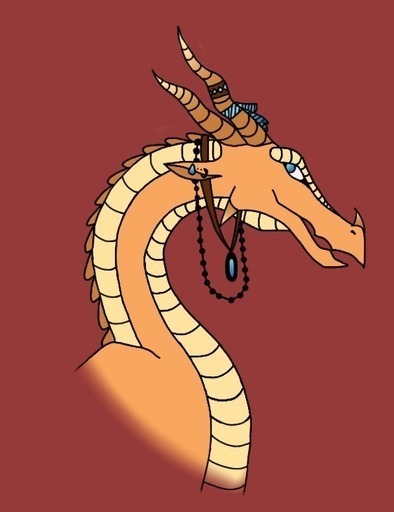 || Topaz is a dragonet, a prisoner, and a contestant for the throne of the SkyWings. Will she win? And what will she have to risk to do so? Jerboa Flowers is twelve years old, a trained Career, and an orphan. Her messy world is made even messier when she’s sent into the thirty-sixth annual Hunger Games, the world’s best known fight to the death. Jerboa steps into the arena believing she has friends, however, she has managed to make enemies out of everyone, even if it was never her doing. It takes everything for her to even survive the second night. Even if she makes it out alive, it may be too late for her world, or the whole world as she knows it. Zachary doesn't believe in witchcraft. So when he is sent to guard a woman accused of being a witch, he does have second thoughts about whether or not she's as bad as she appears.